These gorgeous gowns are oozing of modern sophistication for a non traditional wedding dress style. From Gwyneth Paltrow’s sleek and chic Tom Ford gown for a City affair to Octavia Spencer’s sparkling Old Hollywood style. 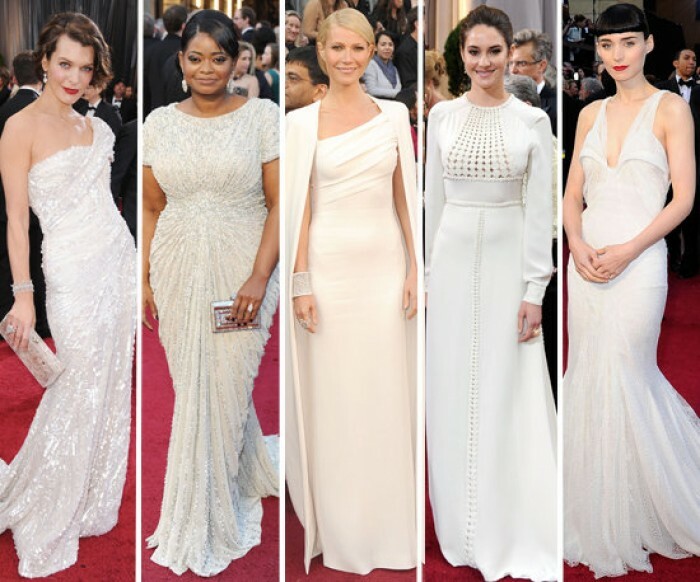 We love that they all already come slightly off white to ivory and sparkly too! Trend Alert for 2012! Next: Tying The Knot With Elyse Skansi!